The stupidity of this man is beyond description. Alberto Baco is much dumber, poorer, and boring than Donald Trump…but he tries to sound like him. The stupidity of Baco is so colossal, that it will be the subject of a further – and detailed – editorial. John, you are absolutely right. He’s the Marie Antoinette of Mayaguez. I hope he is not speaking about his own people. Neither are they ” born not to succeed”. What is needed is for the profits to stay in puerto rico and for the business be own by Puerto Ricans. 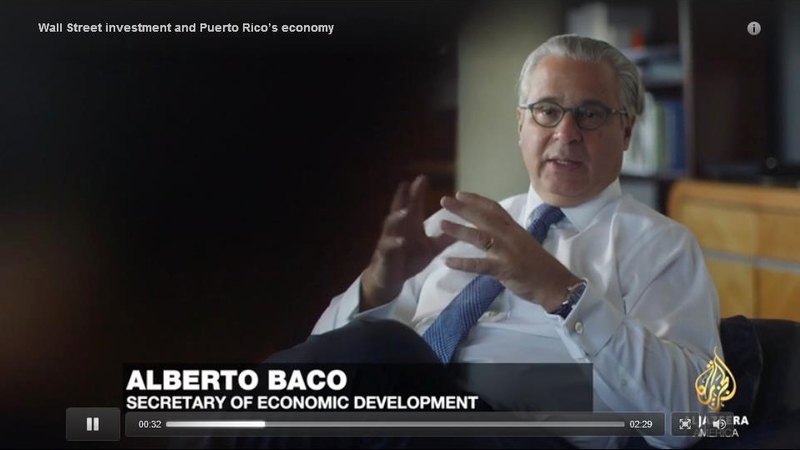 This is what Puerto Rico has … “Alberto Baco is much stupider, poorer, and boring than Donald Trump…but he tries to sound like him.